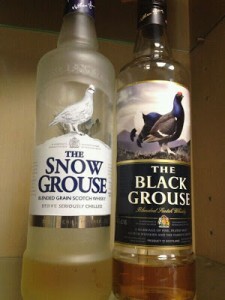 The drams I tasted mentioned in previous two articles Black Grouse and Snow Grouse are samples from a friend of mine. Though each sample is measured only about 50 ml, it is not an EASY task to finish them all. An idea just comes across, blending them! Overall comment: It is interesting that unexpected outcome from these two grouse hybrids. Some elements in individual have gone, that make this “son of the bird" even simple and flat, just merely drinkable. Notwithstanding the outcome of my blend is undesirable, I understood that the cellar masters and master blenders are truly professional. The 1+1 rule may not apply in blending of spirits. The blender shall have full picture of each distillery, and to deal with the combinations amongst different styles of spirit, effect of wood, length of ageing and such outcomes in geometric progression – what a mission impossible!